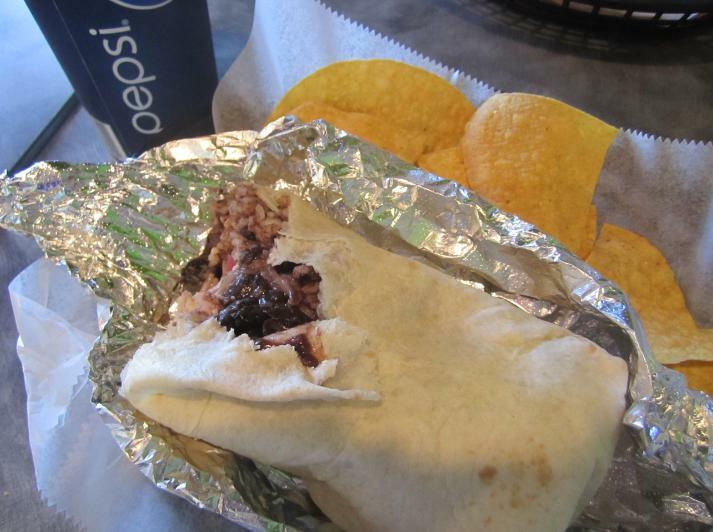 When I first set out to write my review of Bubbakoo’s Burritos, I only expected to rave about their amazing burritos. But since I began writing this post, the Jersey Shore locations were among those cities hit hardest during Hurricane Sandy. The chains of Bubbakoo’s are back up and running, but serving a new purpose in addition to their tasty menu: getting hot food to flood victims and those still without power. Read on to learn more about the relief efforts — and, of course, e-sample my favorite Bubbakoo’s picks! 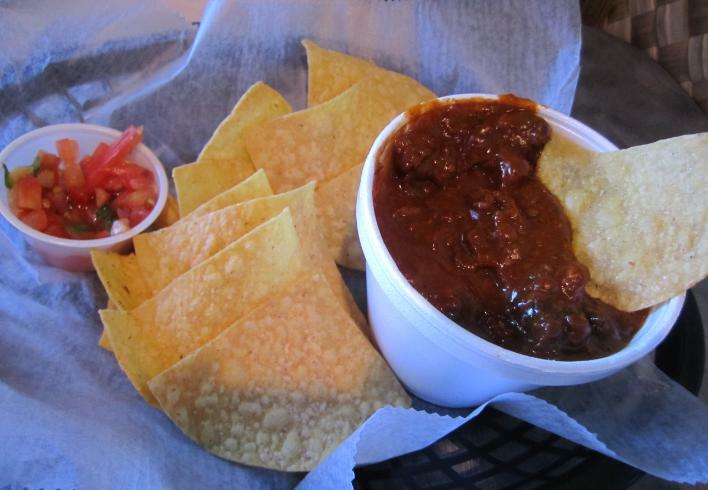 Side: Chips, salsa, and chili. This chili is enough to warm you up and keep you full in between meals! It’s spicy, but not so spicy you’d need to have a fire extinguisher handy in case the heat kicks in! You also don’t have to worry about this chili being too soupy. The thick texture is perfect for dipping your tortilla chips into. Student Special ($5 with tax): Bean, cheese, and rice burrito. Comes with chips and a drink. Everything about this burrito reminds me of all the ways Bubbakoo’s gets it right. A giant burrito stuffed to the rim with all of my favorite ingredients (I ripped it open to show you guys! ), plus a drink and tons of crunchy chips all for five bucks? I love this combo of gooey goodness is simple and delicious. You can also get more complicated versions (sky’s the limits with toppings! Or should I say… stuffings?) but I always end up with this tried and true classic. If you’re in the mood for a total challenge, I highly recommend grabbing a group of your friends together and heading out to Bubbakoo’s to tackle El Hefe. This “monster” eat-in option is only $16 and features every ingredient they have on a giant platter. If you can eat the whole thing, you’ll get your pic up on the store’s wall of fame! So how are Bubbakoo’s locations operating after the storm? After a couple days on generators, all locations are back to producing delicious burritos, and are now hubs for getting hot meals to those affected by the hurricane. I asked owner Paul Altero how things are going, and he said, “We are collecting hot foods daily from people and sending that food to various points of distribution in Ocean and Monmouth County. In addition to supplementing that food with out in-house prepared food. We have serviced hundreds if not thousands of people since the Wednesday after the storm. And are continuing that effort daily, 7 days a week. 4 of our 6 restaurants are drop-off points.” For more info, check them out on Facebook. Next time you’re in the area, stop by for a relaxing burrito!